This week brings more than 7000 people to take part in the biggest trail running event of the year – the Ultra Trail du Mont Blanc. Over 7 days 7450 people will take part in 6 races, covering a distance of 758 kilometres (470 miles) and a positive height gain of 53650 metres (176000 feet) – phew! PTL – the Petite Trotte à Léon is misleadingly named, being anything but “petite” at a distance of 300km with a massive 26000m of positive altitude change! 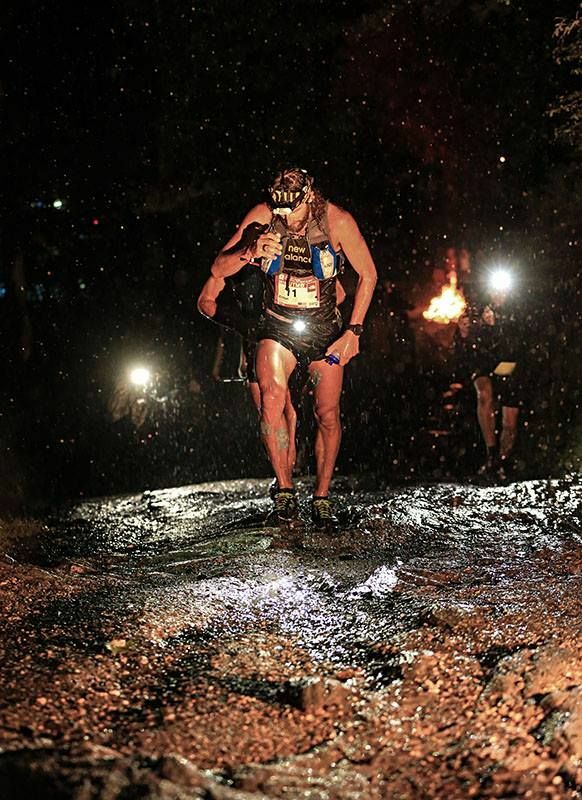 This event is a team challenge in which runners must stay with their team mates for the entirety of the course to be classed as finishers and the extreme nature of the course makes this one of the toughest trail events around. The PTL is the first event of week, it starts at 17:30 on Monday 24th August in the centre of Chamonix and takes most participants a full 5 days to complete. 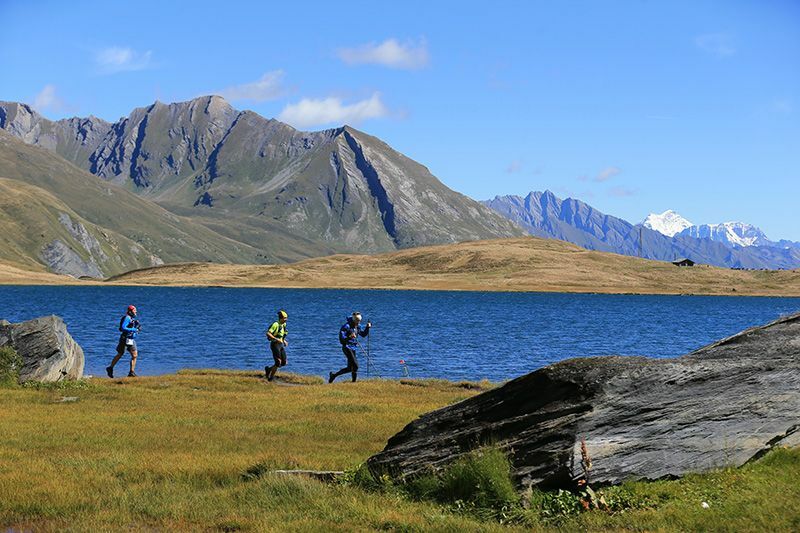 TDS – runners in the TDS, or the Sur les Traces des Ducs de Savoie, will find themselves treading historical paths in provinces on the French/Italian border that once made up the Savoie State. We’re guessing though that with 120km to contend with, the runners will have more to focus on than political history! 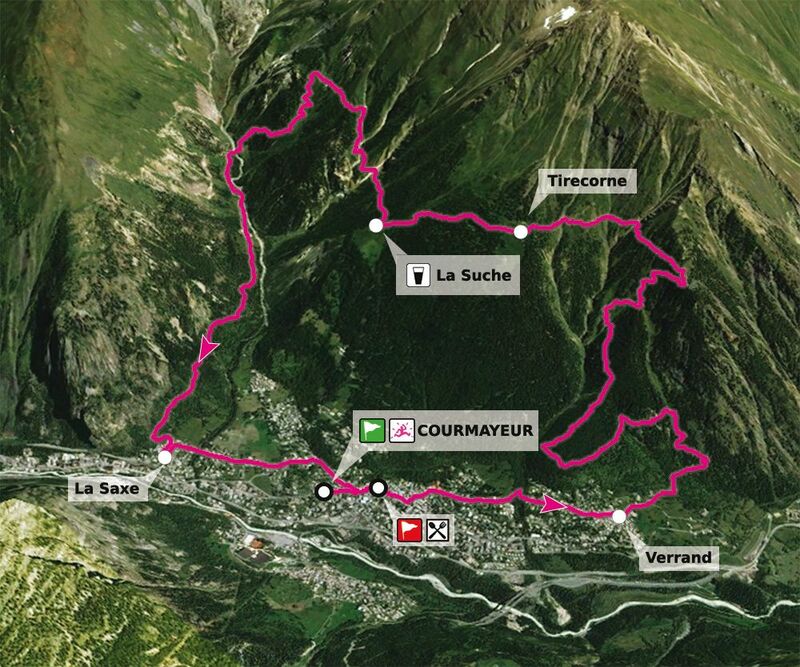 The race starts in Courmayeur at 6am on 26th August and finishes between 14 and 33 hours later in Chamonix. 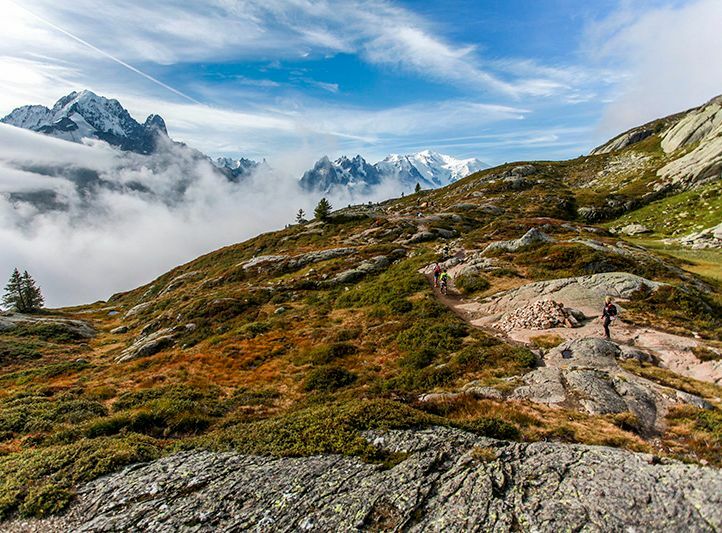 YCC – the newest race of the lot, the YCC is the Youth Chamonix Courmayeur – a 15km challenge with 1100m of ascent for young trail runners aged from 16 to 19 years old. All participants will also have the chance to take part in a video competition, with all entries to be shared on social networks. The YCC takes place on Wednesday 26th August at 10am in Courmayeur, Italy with a prologue event the day before in Chamonix. OCC – the shortest of the races, the Orsières – Champex – Chamonix may only be 53km long but it manages to squeeze in 3300m of positive height gain, making it a pretty steep and technical course. Starting in Switzerland at 08:15 on 27th August, the first runners are expected back in Chamonix around 5-6 hours later. CCC – often seen as the “little sister” of the UTMB, the Courmayeur-Champex-Chamonix follows a similar route but over a shorter course of 100km with around 6000m of positive altitude change – still a massive distance by most people’s standards! The race starts in Courmayeur, Italy at 9am on 28th August and finishes in Chamonix centre with an average finishing time of around 20 hours. 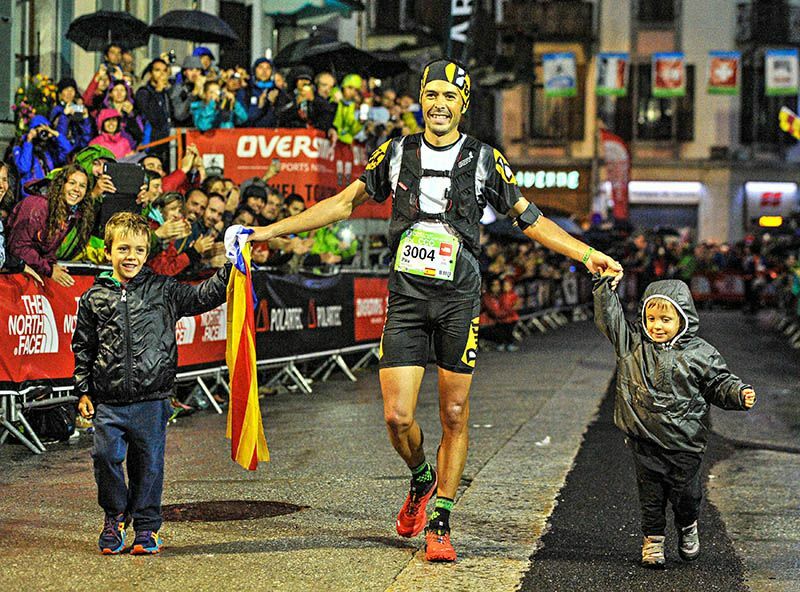 UTMB – the legendary Ultra Trail du Mont is the highlight of the week. Crowds of people will be lining the streets at 6pm on Friday 28th August in the centre of Chamonix to cheer for the 2300 runners as they set off on the run of their lives. 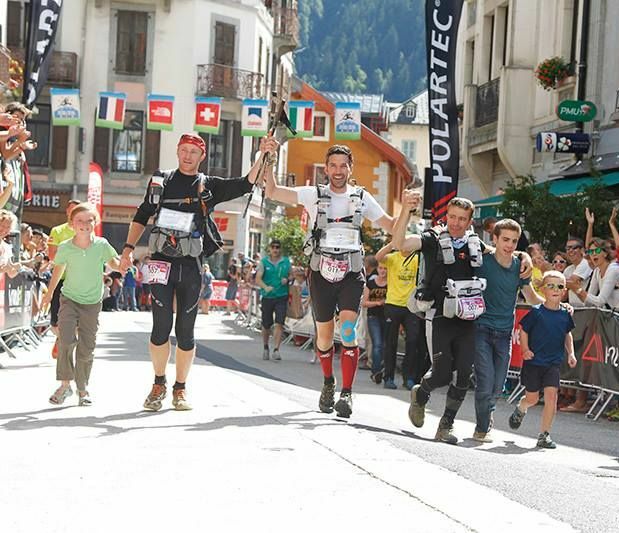 Now in it’s 13th year, the UTMB is an iconic trail race that draws people from all over the world to circumnavigate Mont Blanc; running 170km through three countries, much of it during the night, and climbing 10000m to return to Chamonix as heroes. The winner often finishes in about 20 hours with the cut-off being 46 hours, meaning that finishers are coming in all weekend. The atmosphere is incredible and runners and spectators alike get swept up in the strong emotions as exhausted legs stumble over the finish line! 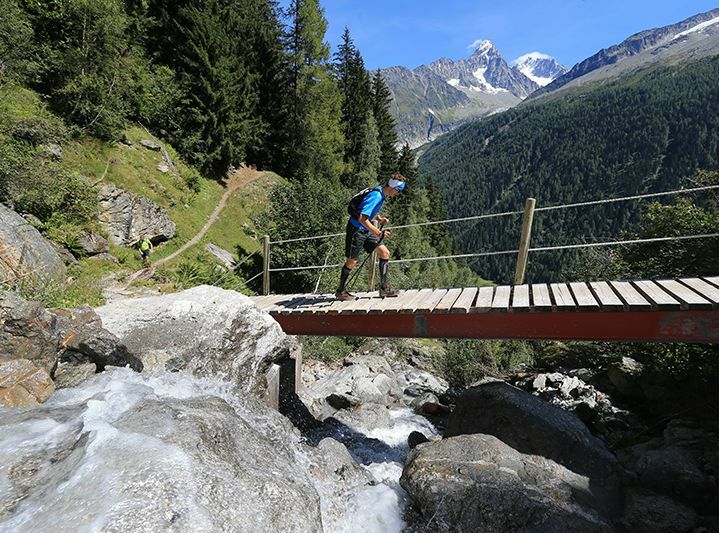 The Ultra Trail du Mont Blanc is a fantastic spectator event and there are lots of things going on throughout the week; you can access some of the race routes using the lift system but don’t rely on buying your lift pass on the day as the desks are bound to be busy. Order your lift pass in advance through Mountain Lifestyle and we’ll have it ready and waiting for you on your arrival. 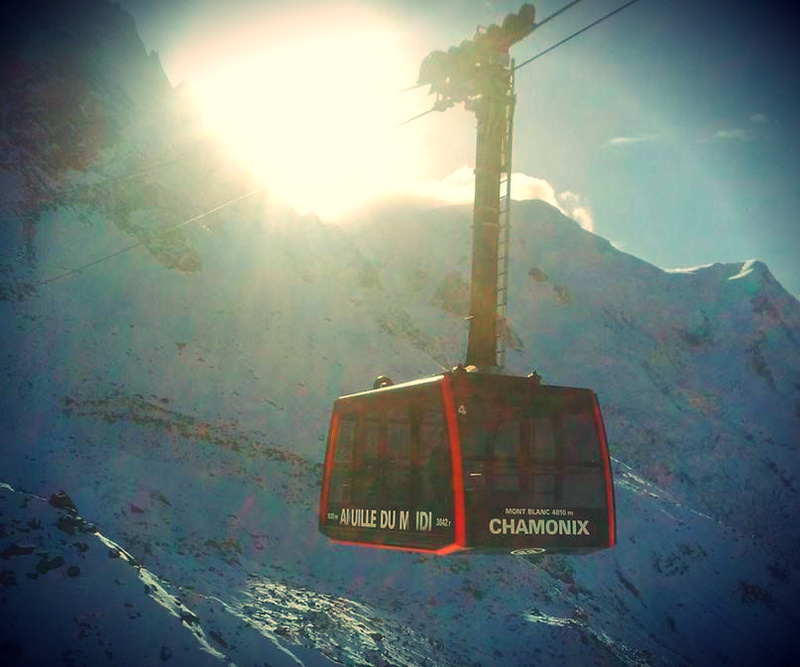 The Mont Blanc Multipass gives you access to a multitude of exciting activities in the valley, visit our website to discover all summer activities in Chamonix. Our partners at Haute Transfer are offering return transport to Switzerland and Italy, should you wish to see the start of the TDS, YCC, OCC or CCC races – booking in advance is highly recommended, please contact us for a quote. 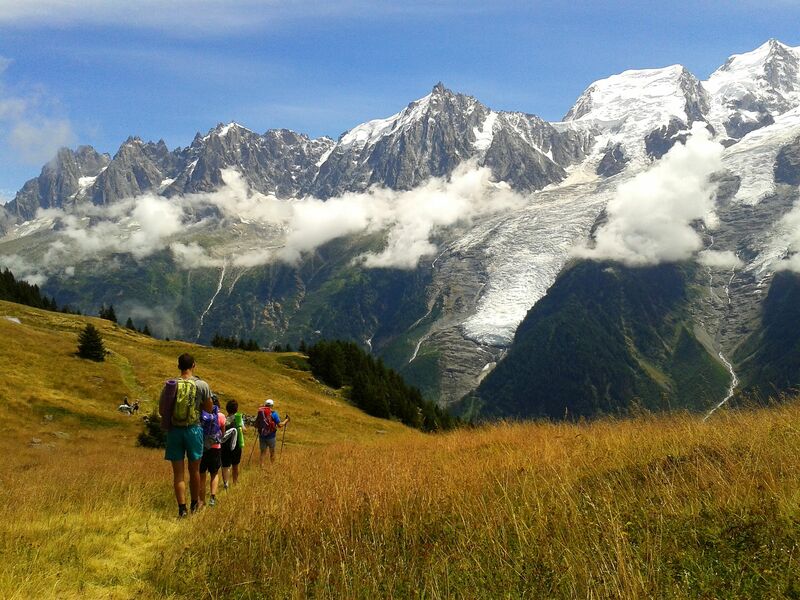 You can find further details of all the races on the Ultra Trail du Mont Blanc website. 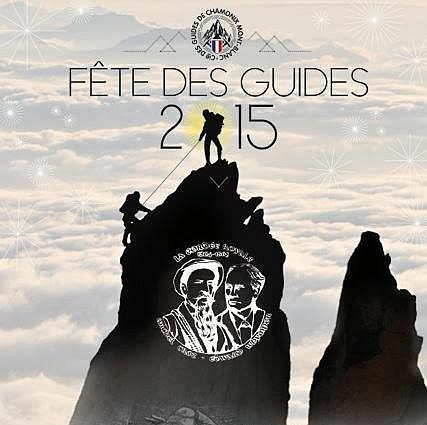 This weekend is the annual Fetes des Guides; a celebration in honour of the men and women who dedicate their lives to the mountains. There have already been events throughout the week in Lavancher, Les Houches and Argentiere but Saturday is the grand finale. 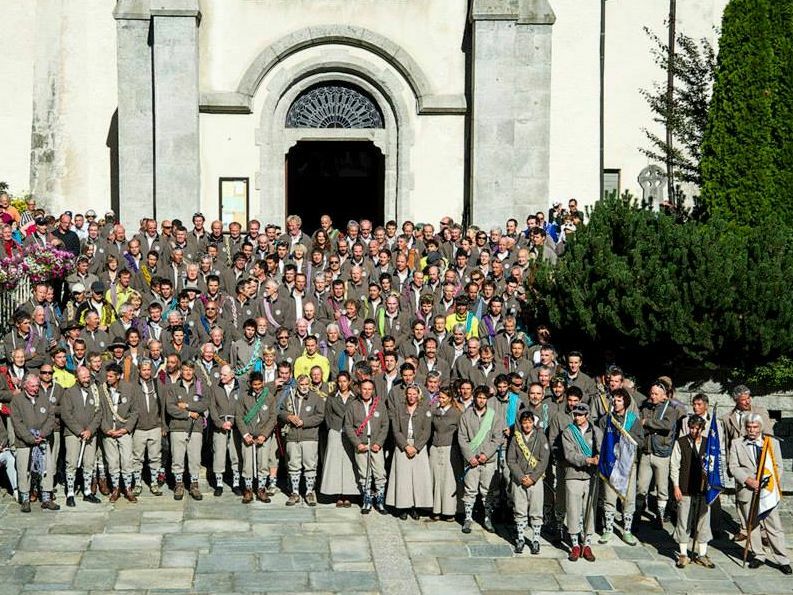 The day begins with a special church service at 9:30 to remember all those guides that have lost their lives in the mountains, followed by a traditional ceremony in the centre of Chamonix to bless the ice axes and welcome all newly qualified guides to the company. There will be stalls, entertainments and face painting in the centre of town until 4pm when the party moves to Lac des Gaillands. There is an entry fee of 13€ for adults and 5€ for children aged 5-12 (free for under 5’s), all the proceeds of which go to Caisse de Secours – a charity fund that supports the families of deceased or injured mountain guides. 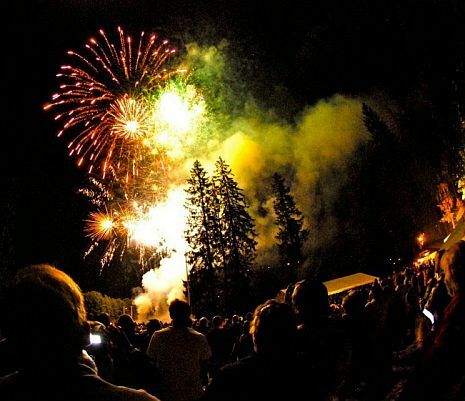 The celebrations carry on into the night with live music, a helicopter rescue demonstration, outdoor games, BBQ and the essential giant tartiflette. The guides themselves will star in a “grand spectacle” played out on the rock face with laser lights and sound effects – expect lots of whizzing about on zip wires and swinging off ropes. Their acrobatic skills are very impressive, even if the storyline is incomprehensible and the acting a bit dodgy… The night ends in a blaze of fireworks, set off over the lake against the night sky. Thanks to the Aiguille du Midi cable car and the Montenvers train, the glacial terrain of the Vallée Blanche and the Mer de Glace is amazingly accessible. If you want to do more than just sightsee you’ll need alpine equipment such as crampons and harnesses, as well as the knowhow to explore the crevasses and marvel at the seracs in safety. You can join a group or organise a private trip tailored to your own interests – contact us now to book your glacier hike. A legendary trek from Chamonix to Zermatt, taking you from the foot of Mont Blanc to the Matterhorn via alpine forests, glaciers, meadows, mountain trails and remote refuges. See the brightest stars you’ve ever seen as you settle into your lodge for the night and work up a hearty appetite for classic dishes such as cheese fondue and saucisson. 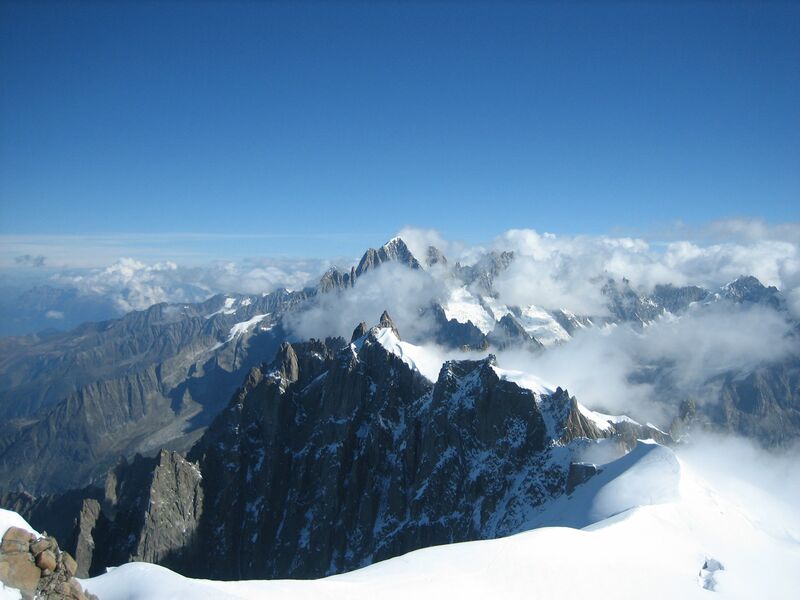 This trip can be done over 8 or 14 days, depending on the route – contact us now to plan your Haute Route hike. 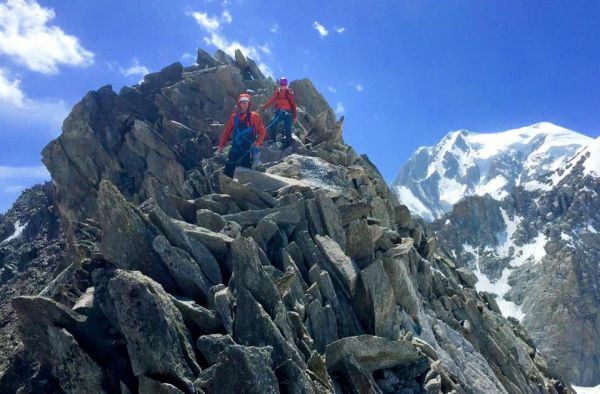 Thanks to its high altitude terrain, you can find superb mixed climbing routes even in summer – huge granite crags leading to spectacular ridges high amongst the snow covered peaks of the Mont Blanc Massif. From one day ascents to multi-day expeditions, we offer a range of options to suit all levels – contact us now to find out more. Summit the highest mountain in the Alps, venturing amongst the glaciers and seracs to reach the pinnacle at 4807m. Setting off from Chamonix you’ll traverse high ridges, sleep over in mountain refuges and see the sunrise over the mountains as you set out for the summit. 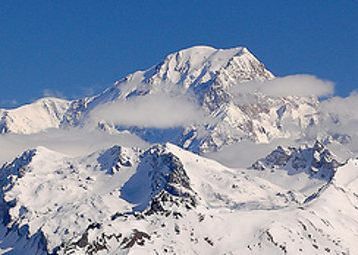 This is a once in a lifetime experience that you’ll never forget – contact us now to plan your Mont Blanc expedition. With this summer having been so hot you’d be forgiven for thinking that ice axes and crampons are winter-only gear. In fact, the amount of glacial terrain in the Chamonix valley means that you can be in a world of ice and snow at any time of the year, often within just a few minutes. Here are some of our favourite options for a day of alpine adventure. The easiest way to get up amongst the snowcapped peaks is to take the Aiguille du Midi cable car up to it’s summit at 3842m. Walk through the ice tunnel to the gate that marks the start of the famous arret – a narrow frozen ridge that leads out into the wilderness of the Mont Blanc Massif. Don’t even think about going beyond this point unless you are with a qualified mountain guide – you can enjoy the view in perfect safety though from one of the many panoramic terraces. If you’re brave enough you can Step Into the Void, a glass box suspended over a 1000m precipice, with nothing but crevasses and seracs beneath you… Access to the Aiguille du Midi is included in the Mont Blanc Multipass. If looking on from the sidelines is not your thing then hire a mountain guide and venture out from the top of the Aiguille du Midi onto the world-famous Vallée Blanche – the longest off-piste ski run in the world. Despite the high altitude and jaw-dropping surroundings, the traverse is actually not too technical and can be experienced by anyone with a reasonable level of fitness and a steady head for heights. Roped up and wearing all the necessary safety equipment, you’ll be lead through spectacular glacial terrain by your guide for an unforgettable day in the mountains. Armed with crampons, ropes, harnesses and ice picks, our mountain guides will lead you across this spectacular sea of ice. Marvel at the unbelievable crystalline blues and peer into deep crevasses. Whether you’ve never set foot on ice before, or crampons are as familiar to you as a pair of slippers, this is an experience not to be missed. The adventure starts with a ride up to the glacier on the historic Montenvers train, included in the Mont Blanc Multipass. 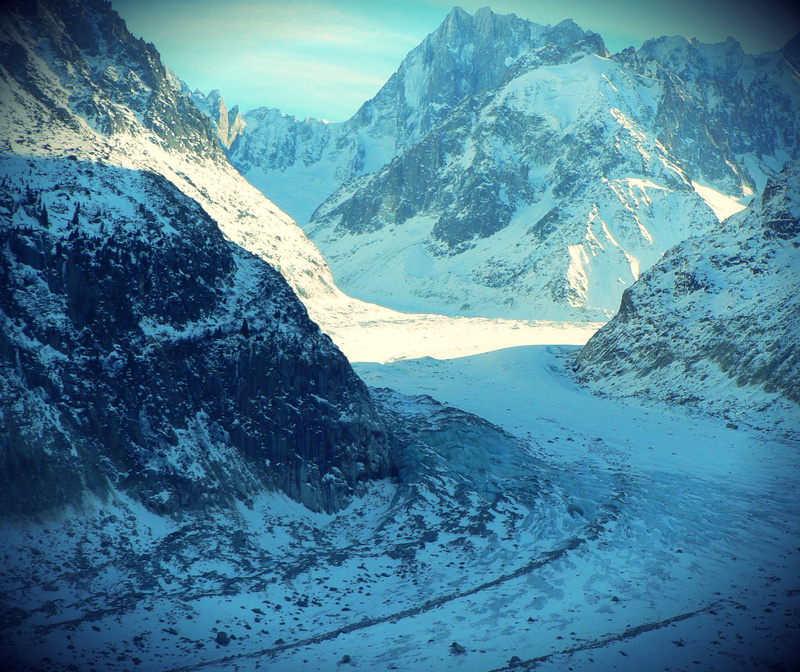 The glacier hike is a half day activity but you are welcome to spend the rest of the day at the Mer de Glace if you wish to explore the area and visit the ice caves. 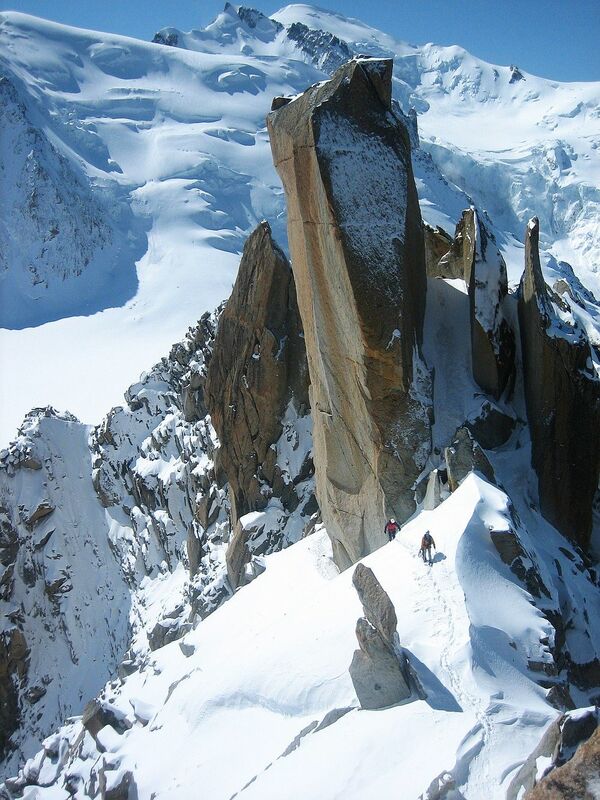 The Cosmiques Ridge or “Arete” is a spectacular journey through snow, rock and ice. Starting out from the Aiguille du Midi your guide will help you rope up, fasten your crampons and step out into another world. Making your way along a steep icy ridge is the first challenge, then you’ll follow an extremely exposed route with breathtaking views in all directions as well as two sections of abseiling. The route is stunning but not too difficult as long as you are comfortable with heights, and you’ll be in very safe hands with our guides. At 3515m, the Petite Aiguille Verte is a genuine high-mountain experience that involves glaciers, bergschrunds and mixed climbing on rock and ice. The climbing is not extremely difficult and takes you on to some spectacularly exposed ridges. This route is an excellent introduction to alpinism and is ideal for anyone who wants to improve their alpine climbing skills. 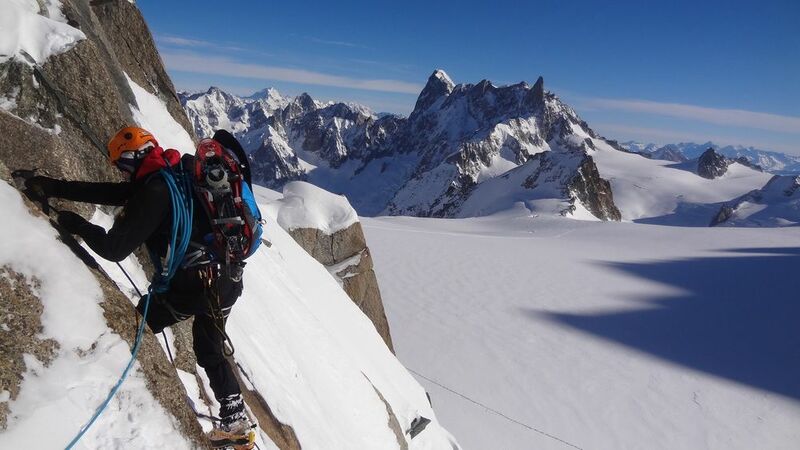 Accessed by the Grands Montets, this is an opportunity to explore one of the finest day climbs in the Mont Blanc Massif. These are just a few of the many incredible excursions that we have to offer; from gentle hiking to summiting Mont Blanc, our mountain guides are fully qualified, insured and experienced in all alpine activities. Please contact us for further details and tailor-made adventures.